The Next badge bar shows 5/5 as in the picture in the bottom. What does it mean, 'maintained a positive question record'? What does it mean, 'need positive question record'? Browse other questions tagged discussion badges . 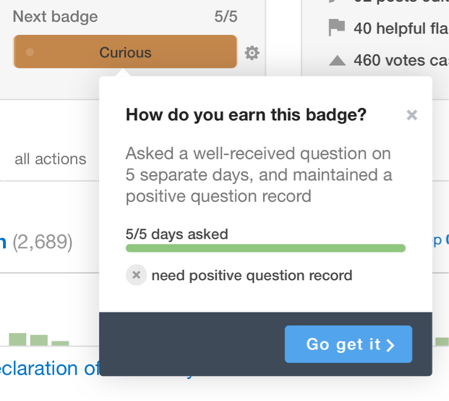 Do questions asked on meta count towards “positive question record” on stackoverflow?